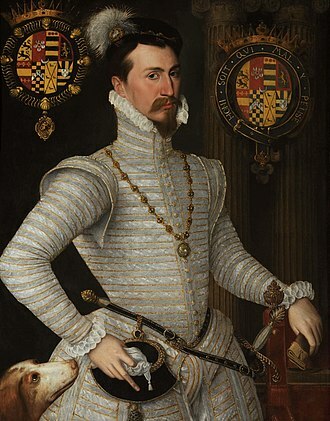 Edward Fiennes de Clinton, 1st Earl of Lincoln, wearing the Collar of the Order of the Garter (c. 1575). Charles VIII of France, wearing the collar of the Order of Saint Michael. Robert Dudley, Earl of Leicester, his arms at left are surrounded by the Collar of the Order of St Michael.